Euboea. Euboea also called Evia, in Greek, ΕΥΒΟΙΑ. It is pronounced, "Evvia,” in modern Greek. Although Euboea is a relatively unknown island abroad, it is, after Crete, the second largest island of Greece and the sixth largest island in the Mediterranean Sea. 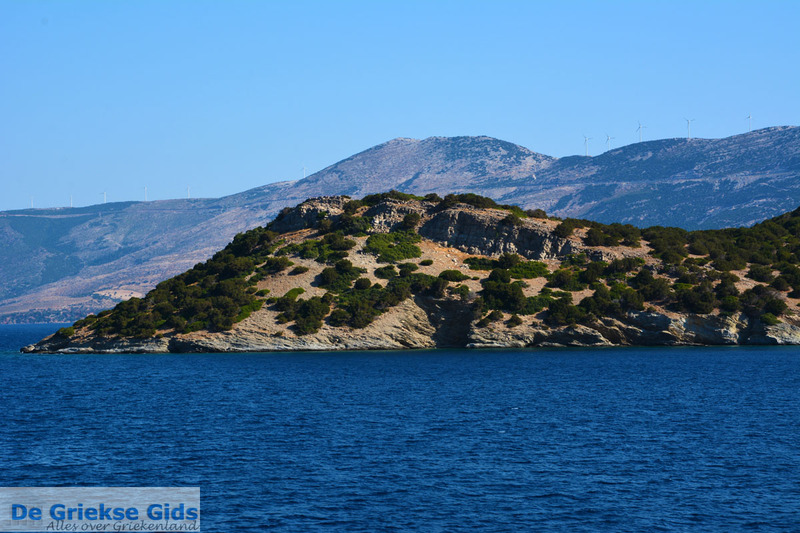 It is an elongated island which is located near the east coast of Central Greece. The length of the island is about 180 kilometers (111 miles). The width varies from eight kilometers (5 miles) at the narrowest point of the island in southern Euboea to about 50 kilometers (31 miles) at its widest point in central Euboea. Near the capital, Chalkida, is the narrowest sea passage between the mainland and Euboea, connected by a moving bridge. Further south, there is a 694.5-meter (2,279-foot) long bridge, which was built in 1993. Euboea is an island that has much to offer visitors. 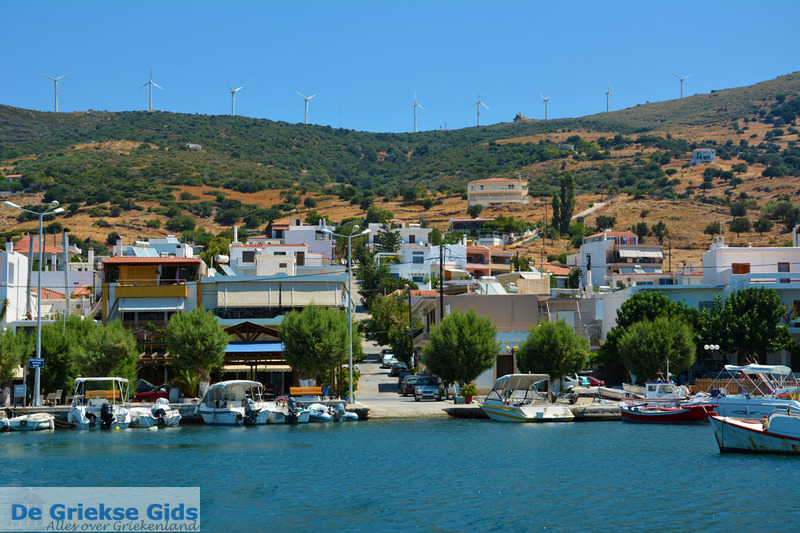 Here lies a beautiful capital (Chalklida or Chalkis or Halkida), charming traditional villages, attractive beaches, picturesque mountains and forests, scenic hiking and mountain trails and lots of culture. Euboea is a mountainous island with many large and small bays. The largest bays are those of Evripos, Limni, Aedipsos, Aliveri, Kimi and Karystos. Around Euboea are also numerous small islands such as Petali, Mirto, Lichades, Pontikonisi and Prasoudes. 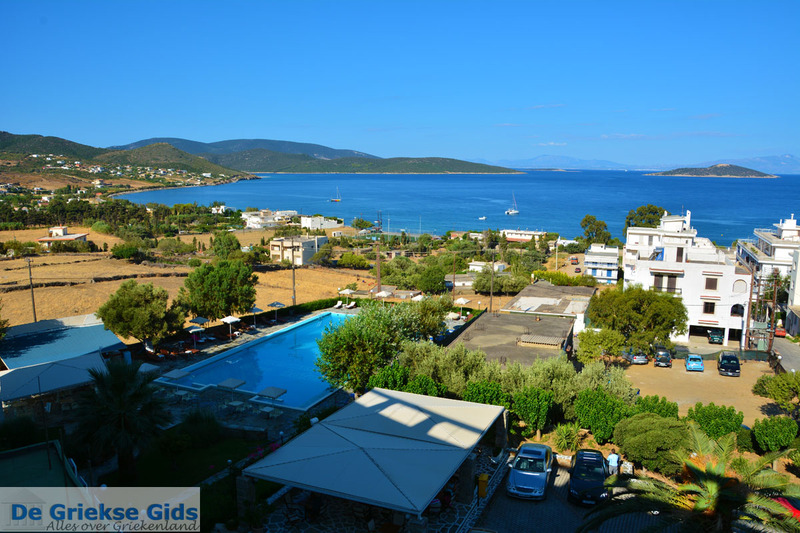 Euboea is a very popular holiday destination among Greeks. Because it is not far from Athens, it is crowded during the weekends and during holidays, even in winter. A lot of hotels are also open 365 days a year. The island is, broadly speaking, divided into three regions, each with its own character. 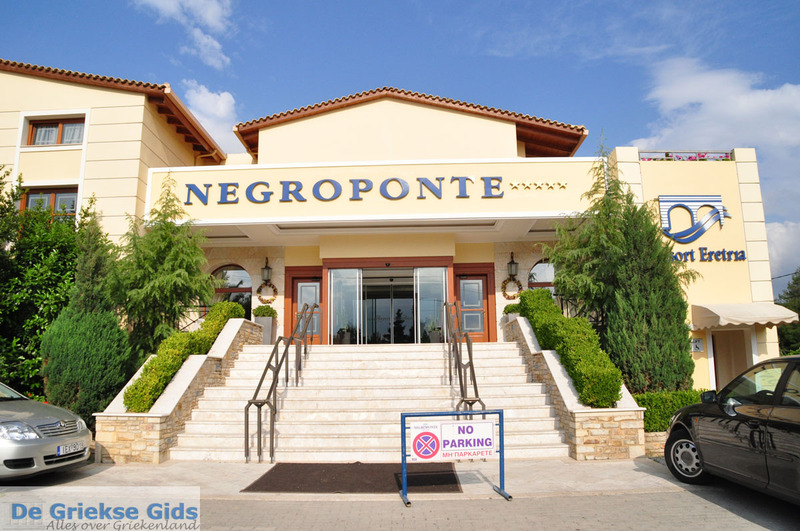 In the north are forested hills (also known as "Little Switzerland") and the thermal springs of Aedipsos. In central Euboea is Dirfis mountain (1,747 meters/5,732 feet), the capital Halkida, and also the charming resorts of Eretria and Amarynthos. In the south, there are a lot of mountains, gorges and beautiful beaches. The main resorts here are Marmari and Karystos. 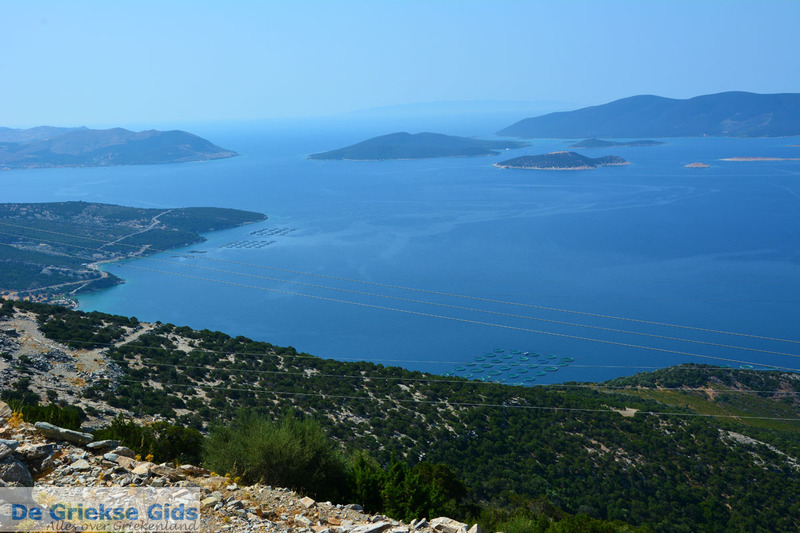 Northern Euboea is accessible by car from Athens via Chalkida. 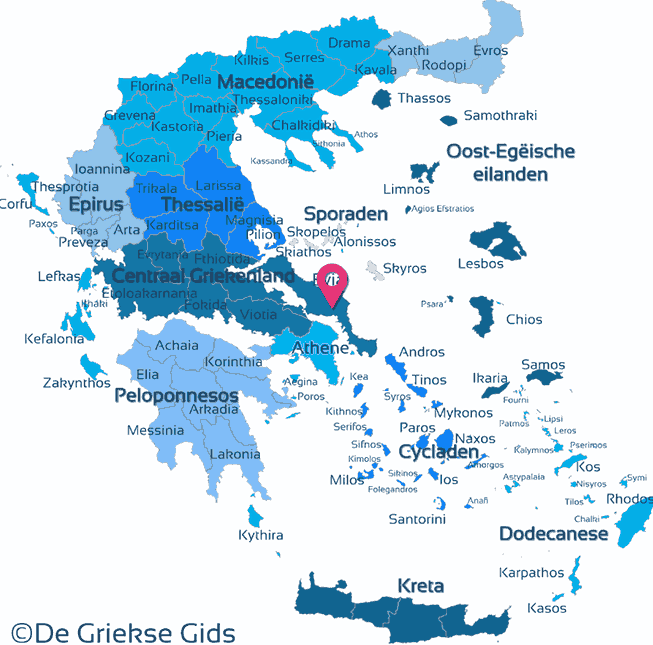 The quickest route, however, is via the Athens-Thessaloniki highway and then cross from Arkitsa by ferry to the popular Aedipsos. If you come from Thessaloniki then you can take the ferry from Glyfa in the prefecture of Fthiotida or further in the south from Agios Konstantinos. The northern part of Euboea has the nickname “Little Switzerland.” The scenic forests and beautiful mountainous nature reserves with lots of hiking and mountain paths look like Switzerland. The mountains are teaming with wild nature and plenty of running water, large and small waterfalls. In addition to mountains to see, there are many popular resorts to experience. 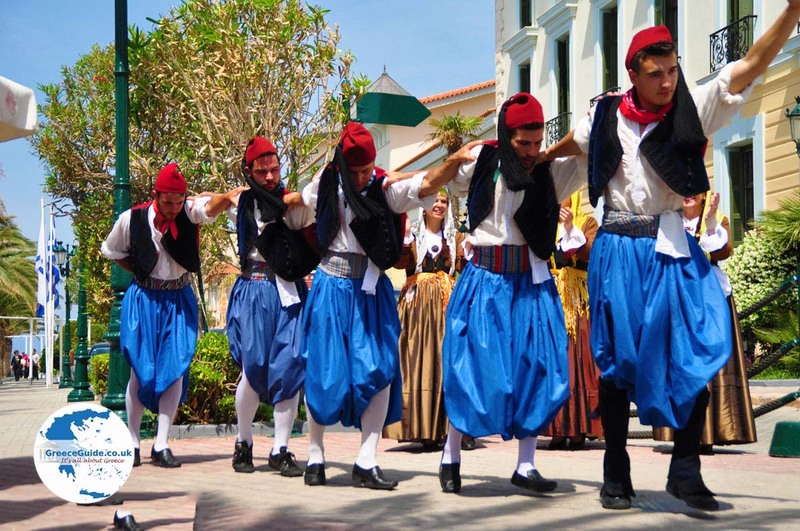 The best known in northern Euboea are Aedipsos, Agios Nikolaos, Orei, Kanatadika, Pefki, Psaropouli, Vassilika, Agia Anna, Krya Vrissi, Limni and Rovies. 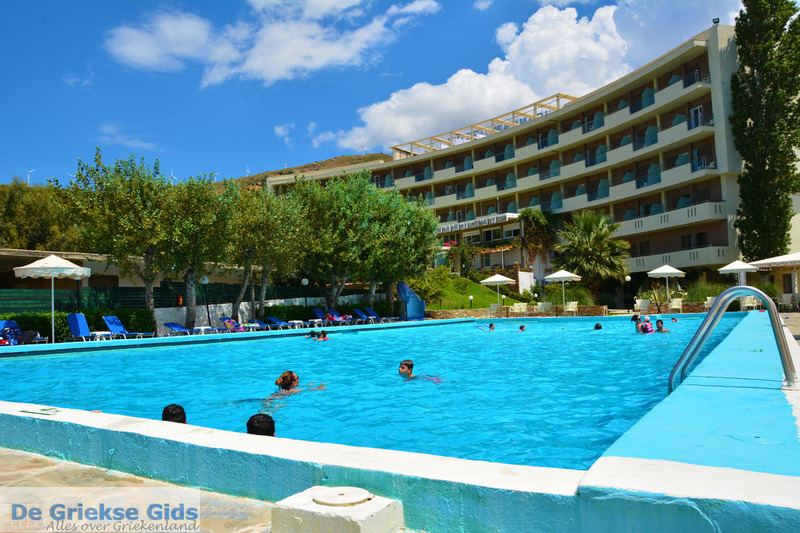 Aedipsos is one of the oldest spas in Greece, already known in Roman times for its curative waters. Orei is a charming resort set amidst a beautiful green park. At Orei are several beautiful beaches and an historic castle. In the hinterland, you will see scenic hills and plains. 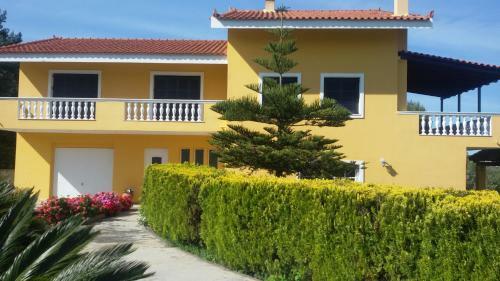 Very popular is the picturesque Limni, which lies on the slopes of a hill on the northwest coast. Pefki is one of the most popular holiday destinations for Greeks. 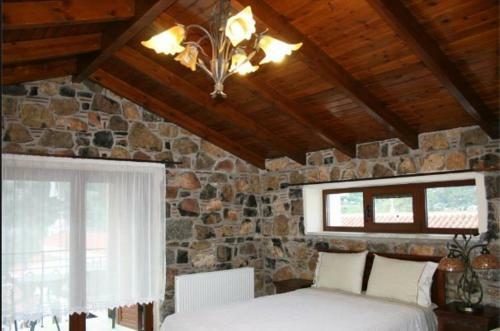 It lies in the middle of lush green pine woods. In the north of Euboea are also several religious sites. In the mountain village of Prokopi, which was founded by Greek refugees from Asia Minor, is the church of Agios Ioannis o Rossos (Saint John the Russian). In this church is the body of the Agios Ioannis (Saint John), which is why the village is flooded daily by hundreds of believers. The monastery of Osios David is also very famous and visited by many tourists. The Drymonas waterfalls are located near the village of Prokopi. 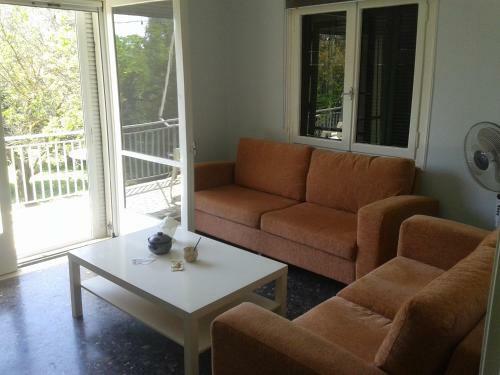 In central Euboea, is the capital of the island, Chalkis (Chalkida). Chalkida is located partially on the island and partially on the Greek mainland and is separated by the Evripos channel. The passage at this point is only 50 meters (164 feet). In Chalkida are the only two bridges to connect Euboea with the mainland. The nature in Central Euboea is very diverse, with low and high mountains and many plains. At central Euboea is the highest mountain in Euboea; Dirfis, which stands at 1,747 meters (5,732 feet) high. On the slopes of Dirfis there are many picturesque villages. A very nice mountain village here is Seta. It is a traditional village with a beautiful open-air theatre, where many activities such as plays, performances and concerts are held in summer. 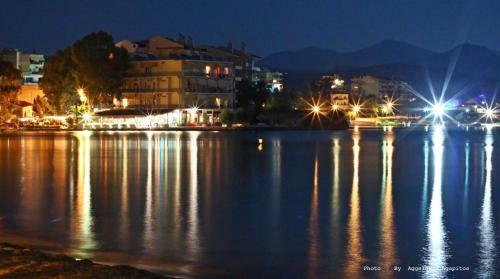 One of the most popular resorts in Central Euboea is Eretria. In Eretria there is a boulevard with many taverns and cafeterias. It has a rich history; the evidence is the ancient theatre and Roman baths that can be visited here. 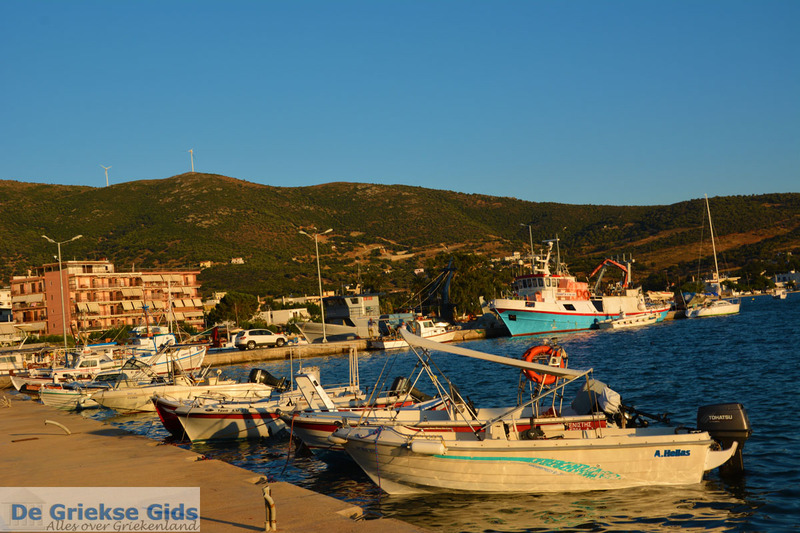 Interesting villages in central Euboea are the fishing villages of Nea Artaki, Amarynthos and Aliveri, Avlonari and Kymi. Kymi is also called "The Balcony of the Aegean," because the view from the hill where the village is situated on the Aegean Sea is fantastic. 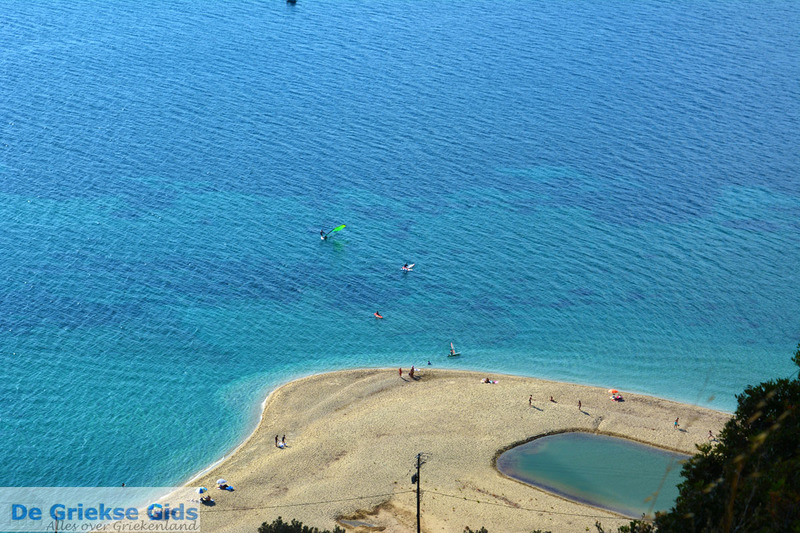 In this region, there are many beautiful beaches; most of them are located in the east on the Aegean coast. 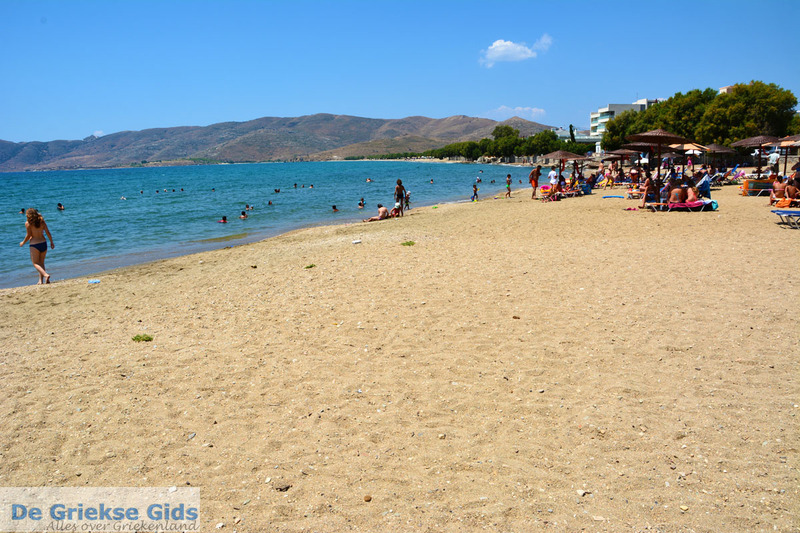 Popular beaches on the east coast are the beaches at Chliadou, Sarakiniko, Mourteri and Metochi. The southern part of Euboea is situated right across the Attica region, which includes the port of Rafina. It is a mountainous area with many gorges, valleys, all kinds of springs and running water. The highest mountain is Mount Ochi, which is 1,399 meters (4,590 feet) high and is very popular among hikers. On and around the mountain Ochi you will encounter the so-called "Dragon Houses.” These Dragon houses are built of stone and are dating back to antiquity. The main house sits on top of Mountain Ochi. A very well-known gorge named Gorge of Dimosaris is located here. The main resorts on southern Euboea are Marmari and Karystos. 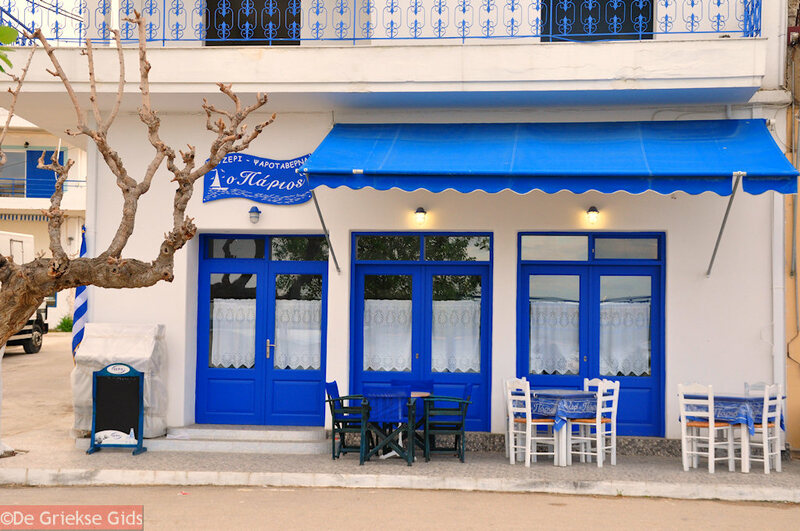 Marmari is a very nice village where many good tavernas, fish restaurants, cafes and ouzeries are found. At night it is very pleasant because the main road on the harbor is closed to cars and turned into a large vibrant promenade. Marmari has not yet been discovered by foreign tourists. It is mainly Greek tourists who come here in the summer. Within a radius of five kilometers (3.1 miles) from Marmari there are some beautiful beaches. The most famous beach is the beach "Golden beach," two kilometers (1.2 miles) from Marmari. Opposite of Marmari, there are the beautiful green Petali islands, which have been owned by kings and wealthy ship-owners, and which are accessible by tourist boats. TIP: A very nice hotel with very friendly owners is hotel Marmari bay! Southeast of Marmari is located the town Karystos. On top of a hill near the town, the red castle is situated (Castello Rosso). 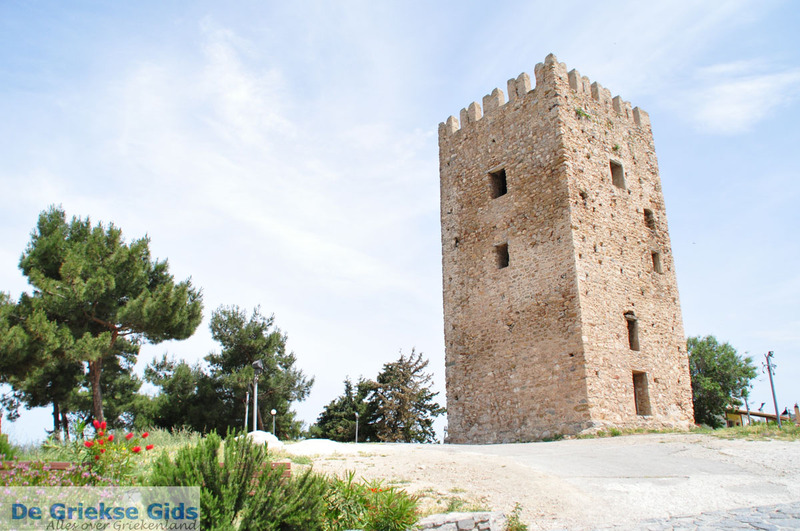 Next to the marina and fishing port of Karystos there is the small fortress of Bourtzi. Near the port and the main town square are many nice cafés and a little further is the beautiful, wide sandy beach. Speaking of beaches; two very beautiful beaches are on the Aegean Sea, on the east coast. 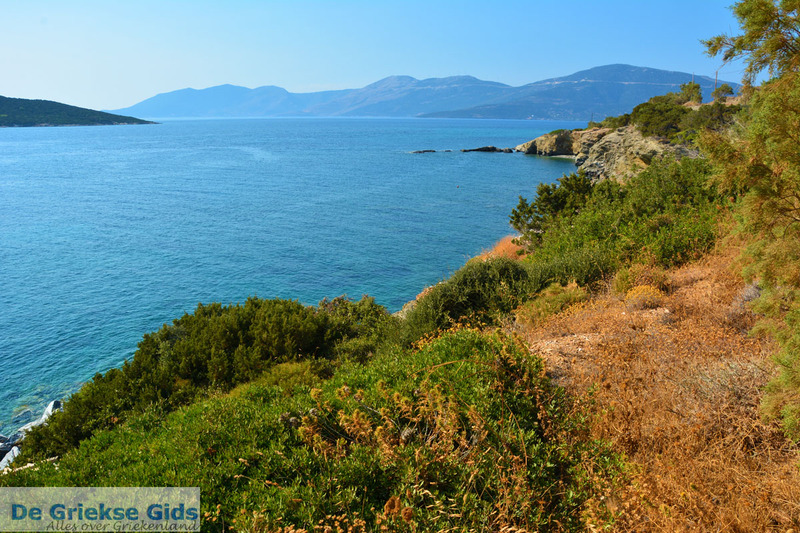 These are the beaches of Agios Dimitrios, at the end of the gorge of Agios Dimitrios, and the beach at Giannitsi. Although this region is near Athens, there is no mass tourism. Nature is very beautiful. If you enjoy walking, then you've come to the right place. 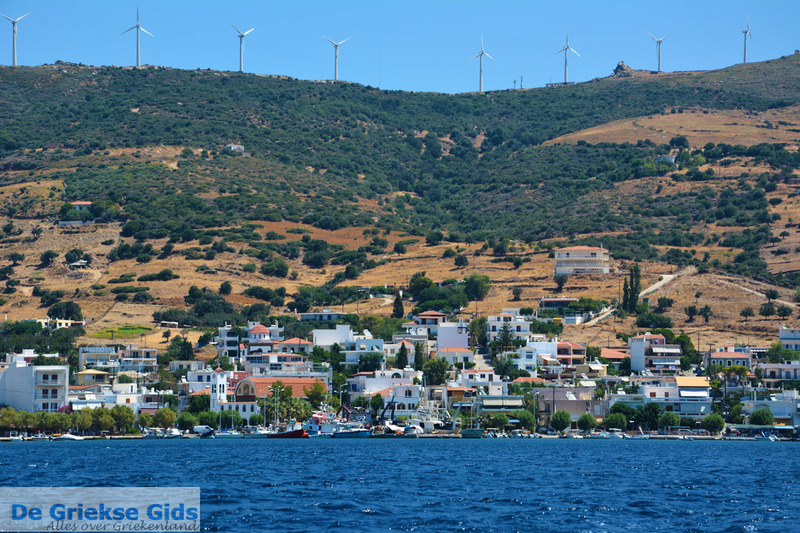 It is an area that is also popular among windsurfers, mountain climbers and divers. 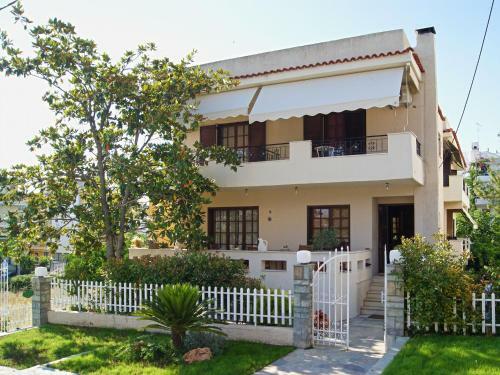 Southern Euboea is a region where you can truly enjoy and relax. Euboea: Where on the map is Euboea located?